Living… in Vietnam, which he describes as “hell.” Life as a soldier in Vietnam in 1967 is worse than the pampered Chris ever could have imagined. In a letter to his grandmother, he describes his life: “We get up at 5 am, hump all day, camp around four or five, dig a foxhole, eat, then put out an all-night ambush or a three-man listening post in the jungle.” He also has to deal with the gruff Sgt. Barnes, but at least Sgt. Elias is there to show him the ropes. Profession… current soldier, former college student. Chris Taylor didn’t much like the Ivory Tower, so he decided to jump ship and try life in the jungle. As he puts it, “Didn’t make much sense, I wasn’t learning anything. I figured why should just the poor kids go off to war and the rich kids always get away with it.” That didn't make much sense to most of his fellow soldiers, frankly, who were generally in Vietnam because they didn't have a choice. But now they're all stuck in the mud together. Interests… distractions from war. 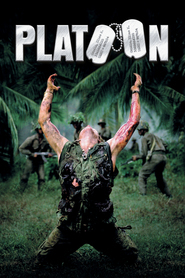 In the jungle, a soldier’s only interest is escape. Chris spends his evenings off duty consuming any mind-altering substance that he and his fellow soldiers can get their hands on. Personality… trustworthy and, at first, relatively innocent. The other men see Chris as a “crusader,” a rich, suburban idealist. After his experience in the war, though, Chris becomes just as jaded as the other grunts in the platoon. Chris Taylor's popularity ranking on CharacTour is #3803 out of 5,000+ characters. See our top-ranked characters and read their profiles.